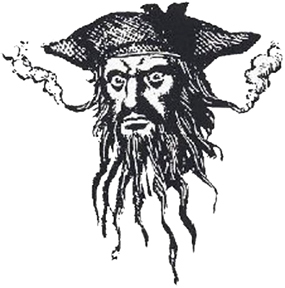 Blackbeard & Hornigold East of Cuba! 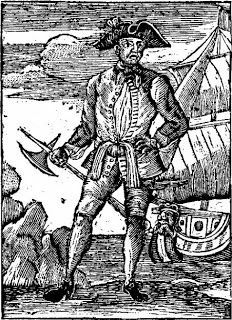 July 1717: Pirates Benjamin Hornigold on board his 30 gun sloop Bonnett, and his second in command Edward Thache on another sloop are sailing in the waters East of Cuba. They seize two merchant ships in quick succession. One sailing for New York from Havana is carrying 120 barrels of flour, a commodity much in demand in the Bahamas. About a week later they capture another sloop from Jamaica headed for New York with a cargo of rum which the pirates liberate from their prey. The pirate crews then sail for Nassau in early August and offload their booty. http://nautilusproductions.com/projects/queen-annes-revenge.